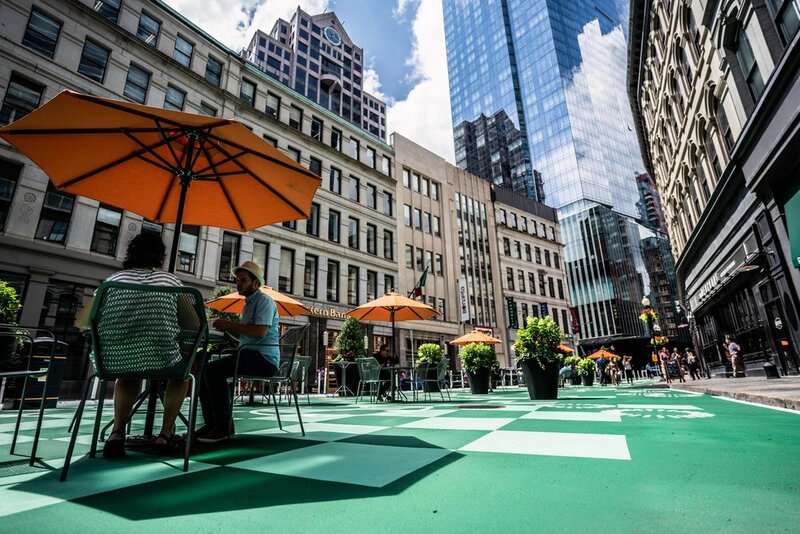 Centrally located in Boston’s Downtown Crossing, the Tontine Crescent Tactical Plaza is part of an initiative of the City of Boston to reclaim excess roadway for pedestrian use. Located on the sunny side of the historic Franklin Street designed by Charles Bullfinch it is an ideal location for a public plaza. 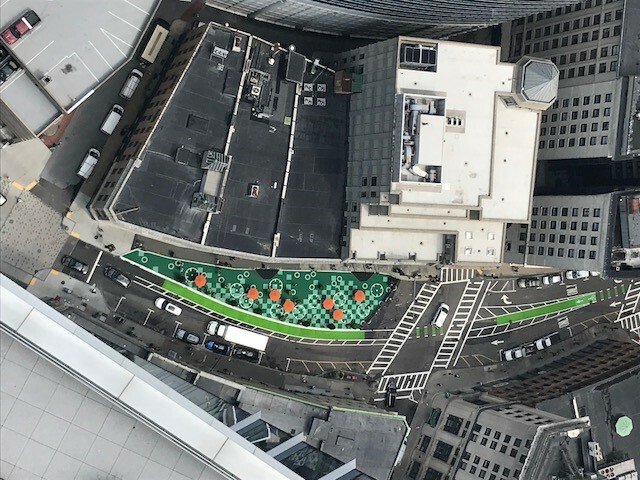 The temporary design tests the roadway geometry for a new permanent park that is bordered by a bike lane on one side and reduces traffic to one lane. A row of tall planters with abundant planting helps to create privacy an and oasis for people to escape from the bustle of the city. 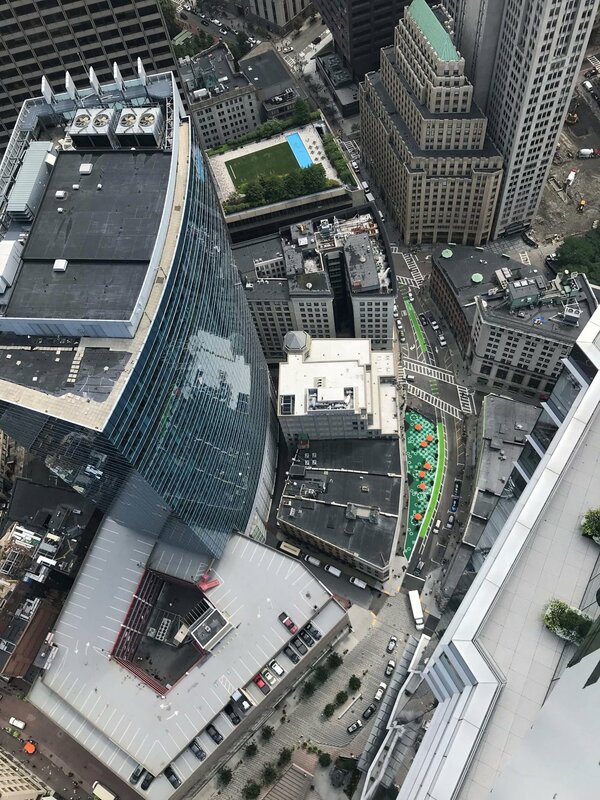 The surface of the plaza has been painted with a bold checker pattern with large scale symbols of tree canopies that an architect might use, making it vibrant and highly visible. Within the plaza, brightly colored, moveable tables and chairs give visitors a place to gather and relax. Tontine Crescent is a temporary plaza that, if successful, will be replaced with a permanent park in the near future.